via Rotor and Wings International. 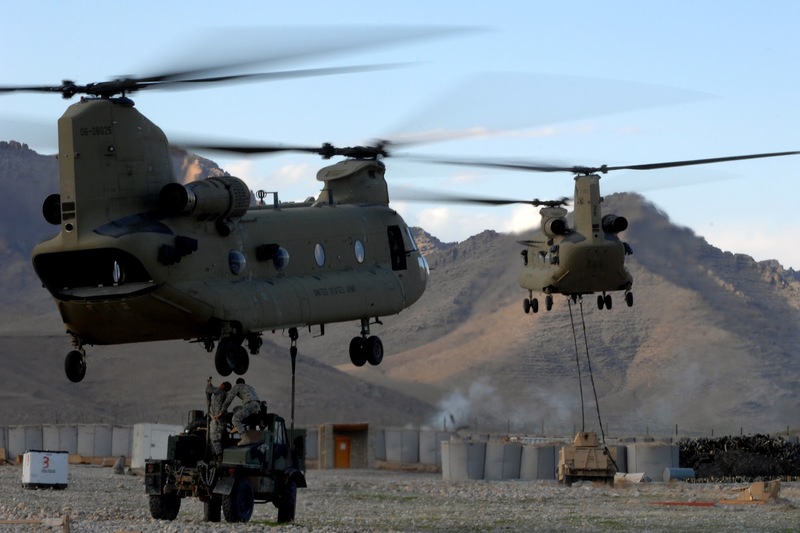 Boeing plans to conduct a flight demonstration with a CH-47D Chinook in the “next couple years,” the company said during a briefing at the Association of the U.S. Army annual convention Monday. The test would aim to see whether its heavy-lift helicopter could someday accommodate a new, more fuel-efficient and more powerful engine. The “proof of concept” test, which Boeing is pursuing under a cooperative research and development agreement with General Electric and the U.S. Army, would use the new T-408 engine — same engine GE is building for the Marine Corps’ new Sikorsky CH-53K King — according to Chuck Dabundo, Boeing VP of cargo helicopter programs. Army Chinooks are currently powered by the Honeywell T-55. Dabundo and Col. Greg Fortier, the Army’s cargo project manager, emphasized during the Washington, D.C, briefing that the Army does not have a requirement for a new engine. The Army is focused on upgrading its CH-47Fs to the Block II configuration. Block II includes an improved drivetrain, new rotor blades, a streamlined fuel-tank design and a strengthening of the fuselage structure, all to increase the helicopter’s lifting power. Boeing has taken apart the first of three Chinooks that will be remanufactured into test aircraft for the Block II upgrade effort. Block II flight tests are slated to begin in the summer of 2019 in Mesa, Arizona, and will last about two years. Hmm. Is it worth the effort? I guess that's why they do the testing!